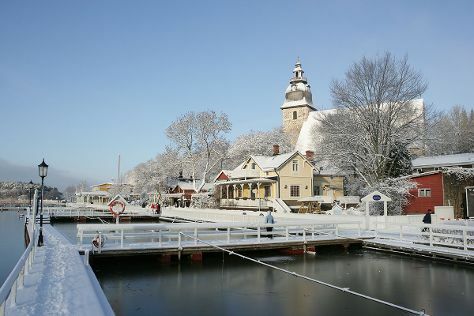 Kick off your visit on the 3rd (Sun): make a trip to Naantali Old Town, then explore the historical opulence of Turku Castle, and then brush up on your military savvy at Forum Marinum Maritime Centre. Get ready for a full day of sightseeing on the next day: get lost in a book at Turku City Library, then explore the galleries of Aboa Vetus & Ars Nova, then see the interesting displays at Luostarinmaki Handicrafts Museum, and finally take in the spiritual surroundings of Turku Cathedral. To find more things to do, reviews, traveler tips, and tourist information, read Turku road trip website . Kuala Lumpur, Malaysia to Turku is an approximately 23.5-hour flight. Traveling from Kuala Lumpur to Turku, you'll gain 6 hours due to the time zone difference. In March, Turku is colder than Kuala Lumpur - with highs of 3°C and lows of -5°C. Finish up your sightseeing early on the 4th (Mon) so you can travel back home.